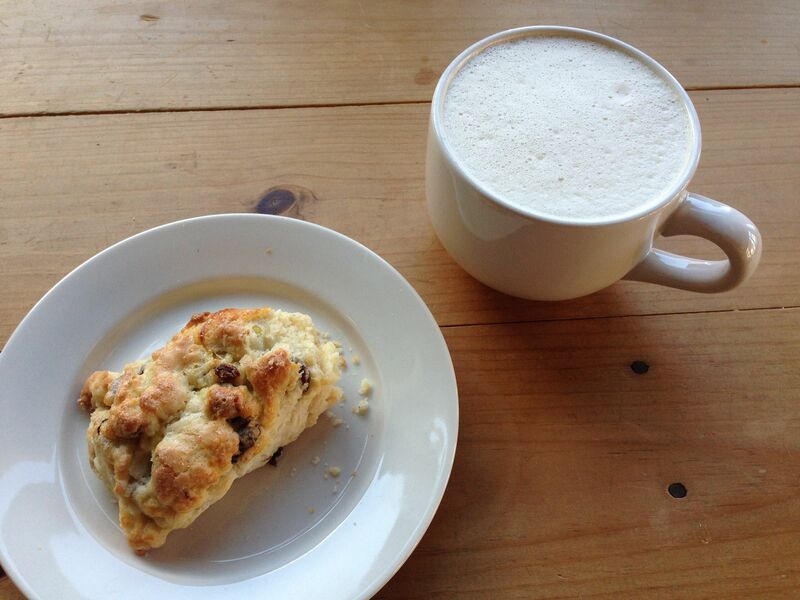 A nice mug of hand-spiced chai latte and a lemon-raisin scone, enjoyed with friends this afternoon at our local coffee & tea shop. Nice way to end what was a very busy, topsy-turvy week. Happy weekend all! It looks like the Earth is finally shaking off the last vestiges of winter. In the past week, buds have started forming on the trees, the crocuses are in full bloom, the daffodils are about to burst, and the warblers and thrushes have shown up at the feeder. 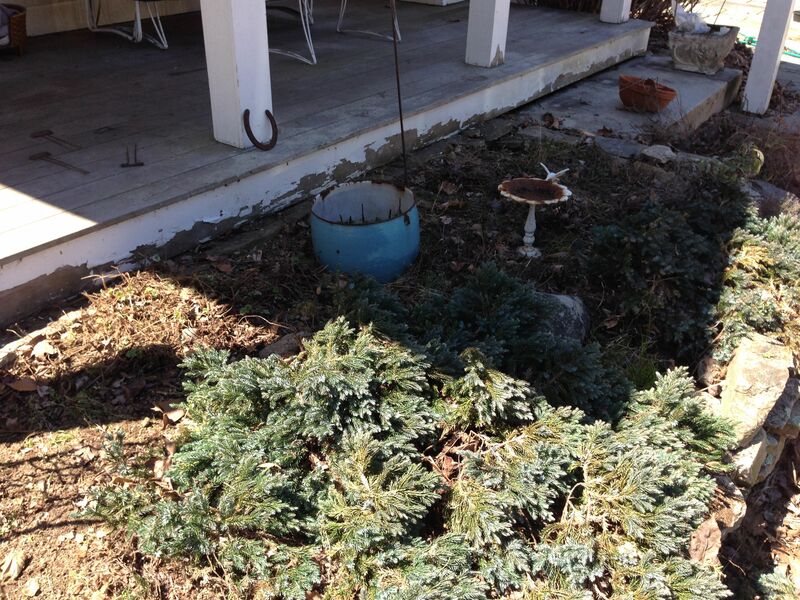 The neglect of winter has taken its toll on the property, especially since we didn’t do leaves in the fall, and I’ve been itching to get out there and clear up the mess. After several rainy days off– which are nice in their own way– I finally had a day off today with perfect work-outside weather. It felt so good to be out toiling in the sunshine, though my weary bones are feeling it now. Happy Spring! 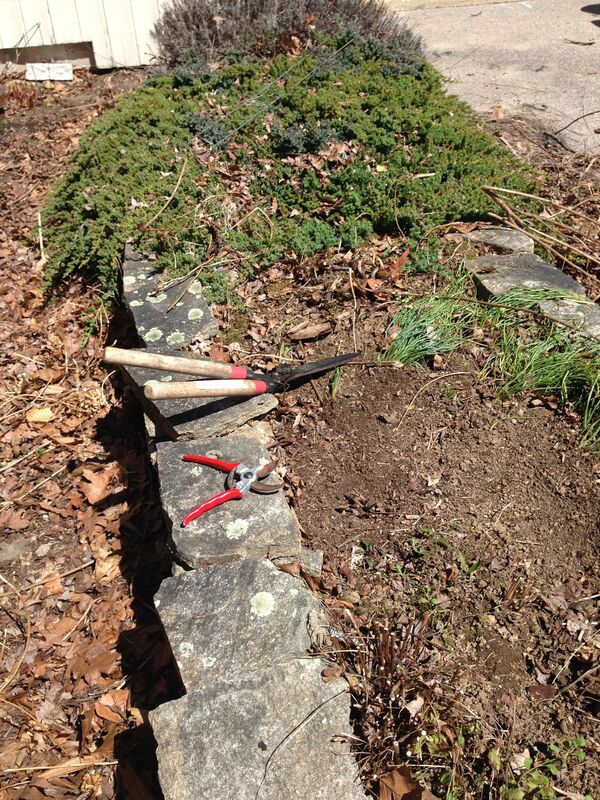 The herb bed off the kitchen porch– all raked out! 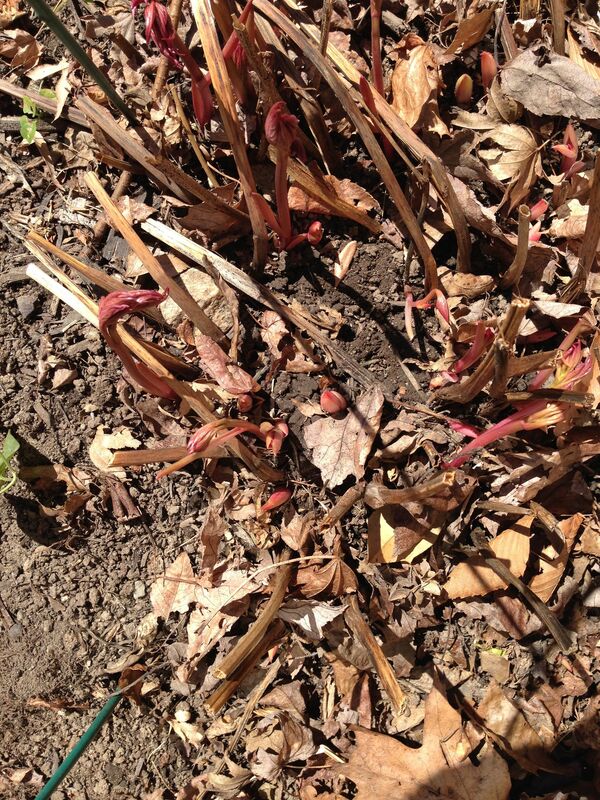 Making way for Peony shoots.